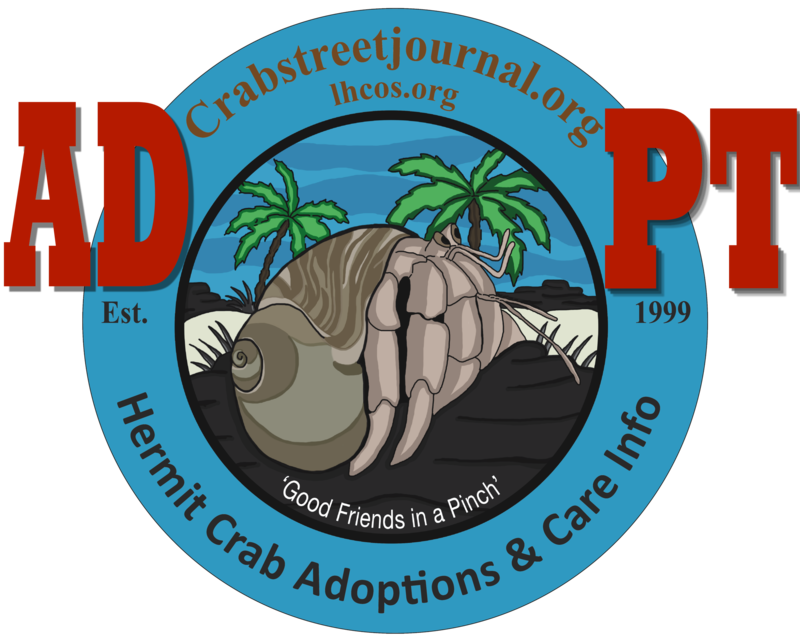 This is a collection of links and information that may be helpful to our approved hermit crab adopters. Even if the owner of the hermit crabs says they are clean and healthy, we urge you to isolate them for at least a month. Introducing mites or shell disease to your healthy colony would be devastating. If you are actively adopting we suggest having a small tank to use as a quarantine for incoming hermit crabs. It is not uncommon for a hermit crab to pull a surface molt if they have been in poor conditions for too long. Hermit crabs being adopted from dry conditions may benefit from a slow introduction to proper conditions to minimize physical stress.